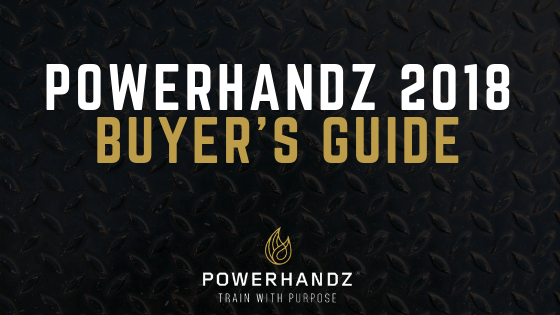 Exciting news, POWERHANDZ fam, the holiday season is upon us. Laughs will be shared, drinks and meals will be enjoyed, and one of the most important staples, gifts will be given. The gift that you give to a friend or family member is a sentiment that they will cherish relentlessly because, well, “it is the thought that counts,” but take your thought further by giving them a gift that they will not only enjoy, but a gift that they need to boost their health, allow them to gain an edge on their competition, and most importantly, help them train with purpose. This holiday season, don’t just give your loved ones generic gifts like socks, a phone case, or some pants, mix it up and give them a gift that will increase their power. This season, here is what we will be offering! The POWERHANDZ Anti-Grip Weighted Training Gloves have weight distributed across the top side of the gloves and an anti-friction material on the palm side of the gloves, making it more difficult to dribble a basketball when training. They are ideal for a beginner baller to even a pro looking to elevate their game! 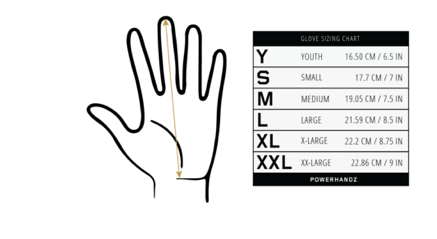 Improved confidence once gloves are removed Up to 2 LB in weight for each pair based on size. 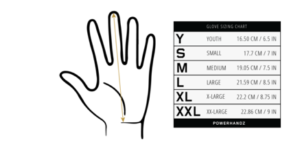 Selecting the perfect size is key, so here is a chart to help! 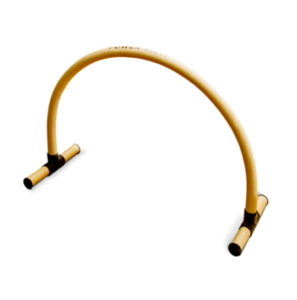 The POWERARCH is a first of its kind training accessory designed to force a ball handler on the basketball court to stay low with their dribble. Previously, athletes were forced to use chairs or other items not designed for ball handling to work on staying low with their dribble. With the POWERARCH, your increased movement abilities will have you breaking ankles and hitting clutch shots. 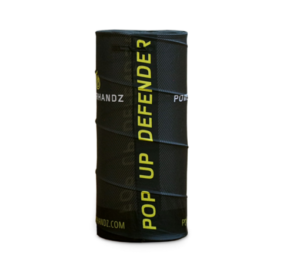 The POWERHANDZ Pop Up Defender is a compressed, collapsible 3-foot-5 statue that can be used as a defender for basketball, football and soccer. 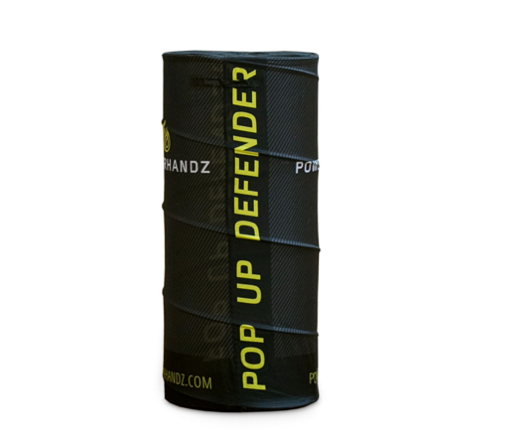 The innovative Pop Up Defender easily collapses and contains storage space inside, making it the perfect choice for coaches and athletes to take with them to simulate real live defenders on the field or court. School your competition with this cutting-edge product! 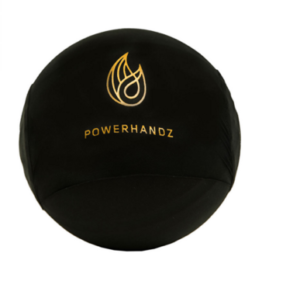 The POWERHANDZ Anti-Grip removable basketball wrap is placed around the circumference of a basketball, decreasing control when dribbling or catching the ball. Training with purpose begins with perfecting the basics. 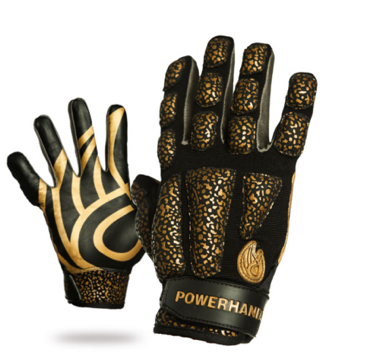 The POWERHANDZ Pure Grip Weighted Training Gloves have weight distributed across the top side of the gloves with a grip material (similar to baseball batting gloves) on the palm. For beginners and elite athletes alike, to increase bat speed is always a plus for your game. 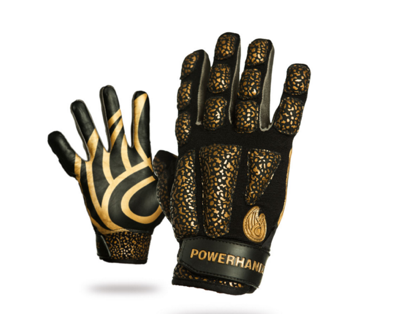 The POWERHANDZ Striker Training Gloves have weight distributed across the top side of the gloves. For beginner boxers or MMA fighters, these gloves will increase your hand speed as well as arm strength. 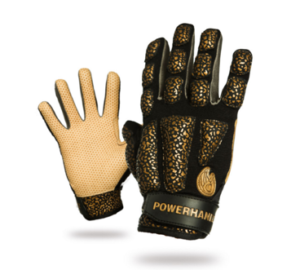 The POWERHANDZ POWERFIT Training Gloves have weight strategically distributed across the top side of the gloves, along with a grip material on the palm that is reinforced with foam gel padding. These gloves are suitable for any type of fitness training: weight-lifting, cross-training, cycling and general workouts. The weight resistance on the gloves improves strength, while the foam gel provides protection from calluses and blisters. They are great for busy moms who are looking to get back into the weight room, athletes looking to strengthen their arms, and those looking to truly train purposefully. – Suitable for weight-lifting, weighted training, cross-training, powerlifting, pullup & general workouts, bodybuilding, cycling, etc. Whether you are just starting out, have been in the game for a few years and are looking to take your skills to the next level, or are an elite athlete, you can benefit from each of these unique products. In addition to singular products, we will also be offering packages so that you have every single thing you need to elevate your fitness! 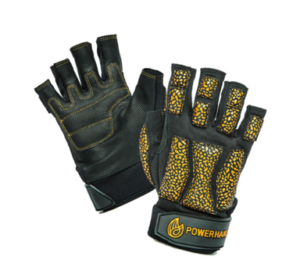 Our POWERPACK includes a pair of weighted fitness gloves, resistance bands, and even POWERHANDZ sliders. To get fit, this package offers everything that you could need! You can get all of these products during our Black Friday and Cyber Monday specials for a great price! Stay tuned, POWERHANDZ fam! We care so deeply about your success both on and off the playing fields, so give the gift that keeps on giving this holiday season, products from our dedicated, passionate, and caring family at POWERHANDZ!